Croatia’s Supreme Court has Thursday 1 October overturned the 2014 Zagreb district court nine-year prison sentence and ordered a retrial for former Prime Minister Ivo Sanader, who was jailed for corruption, embezzling millions of euros in public funds via a company named Fimi Media. All other defendants joined in this case of corruption charges by the former State Attorney Mladen Bajic, including the Croatian Democratic Union Party/HDZ, were also included in this verdict and freed from guilty verdict delivered against them in 2014. These charges were originally mounted at the time when Croatia was working towards meeting all criteria for EU membership. Fight against corruption was a big part of proving “worthy” of EU membership as state. The Supreme Court in Croatia has ordered a new trial for charges and claims against Sanader and other defendants, however, it stands to speculation as to whether, under the new Crimes act HDZ will need to be dropped from the list of defendants. The Supreme Court had made the decision to overturn the district court verdict in its totality and return the case to that court for a new trial and new judgment. While a detailed decision by the Supreme Court regarding this case has not yet been publish the Supreme court delivered its decision citing unspecified violations in the lower court trial of significant breaches in the lower court of criminal procedure, among other things serious breaches of right to just and fair trial – guaranteed under the Constitution and the Convention on the protection of human rights and fundamental freedom. 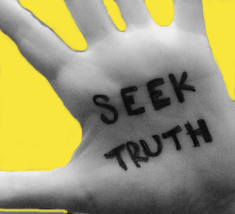 Given that this criminal case was widely publicised and a great deal of Croatia’s reputation in being able to deal with corruption hung on the success of trials brought against individuals for corruption, one does find it perplexing in discovering that apparently there were serious breaches of criminal procedures in this case. One would have thought that nothing untoward when it comes to set procedures could go wrong during the court process! But it seems something went very wrong and, therefore, nothing less than the decision it made could be expected from the Supreme Court. Indeed, everyone does have a right to a fair trial. The Croatian Supreme Court decision has, naturally, put a smile to HDZ’s face and while the new trial is yet to occur, the new judgment yet to be delivered some time down the road, one thing does remain possible: HDZ as Political party should never have been joined as a defendant in the case in which Ivo Sanader was brought to court on criminal charges of corruption and fraud whilst HDZ’s President and Croatia’s Prime Minister and it should be dropped! Accusing some 200,000 members of the Party of collective guilt for crimes committed by its leader is just as bad as not having a fair trial. Indeed, in the new Criminal Act there is no longer the provision under which HDZ (a political party) can be accused of or charged with criminal deeds relating to the Fimi Media case associated with Sanader and this Supreme Court judgment. HDZ was ordered to pay 3.8 million euro fine in 2014 when guilty verdict against Sanader and it was delivered and with this Supreme Court ruling that fine seems to be null and void even though the position the Supreme Court took on HDZ’s appeal is not yet fully known and it will be months before the detailed reasons for the decision are known. “If that is the case and this new criminal deed is not in continuity with the old legislation then it’s almost certain that the case against HDZ will be stopped and that no guilty verdict will be delivered against it,” said for HRT TV news on 2 October dr Mato Palic, Faculty of Law, Osijek. Time is hopefully coming when the Croatian public may have the opportunity of finding out whether “satanic verses”, from the mouth of the former, communist coloured, State Attorney Mladen Bajic, were indeed afoot when original charges that saw a Political Party vilified were laid. Sanader, who was in office as Prime Minister of Croatia from 2004 to 2009, was sentenced separately to 10 years in prison for bribery in 2012 (INA-MOL case), but Croatia’s Constitutional Court had overturned that verdict and ordered a retrial on similar grounds of procedural unfairness. After nearly three years in jail, Sanader can now leave on bail of 12.4 million kuna (1.6 million euro) after the court ruled that procedural errors had affected his right to a fair trial. It’s expected that his friends and family will be able to raise the bail by 7 October. I am quite concerned that the process of justice, the court process of such magnitude as the ones against Croatia’s former Prime Minister Sanader could have gone so terribly wrong. One cannot avoid asking the question as to whether such procedural transgressions could have been perpetrated on purpose? For political reasons; for political gains? I find it hard to believe that in all cases against Sanader, in all separate trials, same or similar procedural breaches could have been committed! It almost feels like a conspiracy to make the public think corruption is being seriously dealt with when in fact it was all an act? To err, to breach procedural fairness in one case against an accused is easy to believe but to err in all arouses justifiable doubts in the sincerity of efforts put in place for combating corruption. The right to procedural fairness (a term that is often used interchangeably with “natural justice”) is not a concept that is foreign to the Croatian judicial process and professionals that make it even if many do stem from the biased and politically coloured justice system of communist Yugoslavia. 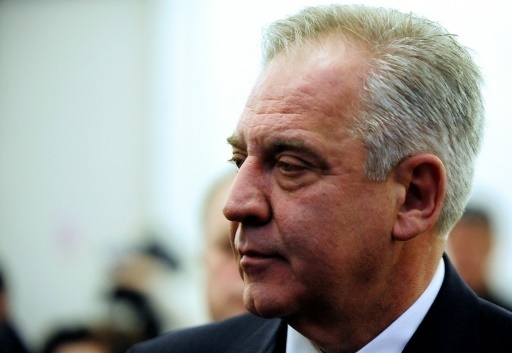 Sanader’s legal team says that charges against him were based upon affidavits or statements made to the State agency against corruption by some people who wouldn’t reply to questions put to them by Sanader’s defence team, and that, apart from that, there was no evidence of his wrongdoing. While I have always maintained that collective guilt such as the one pinned against the Political Party HDZ in this case had no place in natural or any other justice. It’s pure political witch-hunting and it should have never been allowed in the courtroom in the first place. 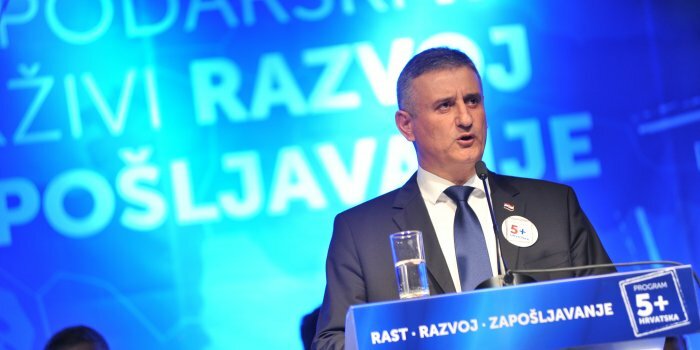 While HDZ says that “the Supreme Court ruling has removed the stigma from the Party and its 200,000 members and that it said from the beginning that the political party was not and could not be held accountable for the acts of corruption charged against it,” I would, though, like to see HDZ, and every political party, fight harder against such injustice as holding a Political Party (or an organisation) guilty for the (secret, personal) acts of some or few members. If they fought harder for such real justice all along, since independence and since the installation of democracy, then judges in Croatia wouldn’t have the nerve to allow procedural unfairness pass through their fingers like some insignificant breeze or pronounce sentences such as “the communist system murdered the people, not the accused former communist Josip Boljkovac”. The anti-Croatian, communist, Yugo nostalgic and Belgrade centered SDP and its envoys can answer the questions you pose. Was just talking with my father about the situation in Cro. The HDZ screwed up, but were at least headed in the right direction. However the SDP have calculatingly brought disaster on Croatia – managed to define the homeland war as a civil war, equalized guilt with Serbia, marginalized war veterans, destroyed the economy and thereby encouraged young people to leave and discouraged investors from investing in Cro, turned our allies and good neighbors like Germany and Hungary against us, allowed Chetniks and greater Serbian propaganda, myths and lies to germinate and spread like weeds within Croatia and the world, divided Croatians into ustasha and partizan with no reconiliation in sight, lost a genocide trail, never pursued reparations from Serbia and have given Serbia a blank cheque to enter the EU (except when electioneering to dupe Croatians); I could go on, but I think you get what I am saying. My dad blames the situation on the British. I don’t…sure the British exploited a situation that was happening in Croatia but the SDP is a very effective party and ‘system’ and they would have accomplished their goals with or without the British. Victor Orban described Milanovic as an envoy of the Socialist International…he was only half right, Milanovic is an envoy of the Yugoslav Socialist order. God help Croatia, please. On the mark, Sunman – well summarised, now the people need to wake up for elections and ensure the former communists, todays Socialists don’t get another mandate at government. 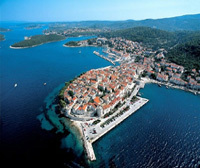 Sunman, that is the most common sense observation of the situation in Croatia at the moment. Back in 1991 I remember people discussing Croatian prosperity and dad saying that it will take at least one generation to pass to see Croatia prosper. His reasoning was that all the old commo’s would have to either die or have no influence in Croatian political and business life. Unfortunately we may still have to wait a while before this happens. Your dad is right, but it seems that it may take 2 generations because the off-spring of the communists are just as delusional and anti-cro as their parents. Don’t know the particulars of the case except what I’ve just read here, but I find it rather stunning that people betray the trust of their fellow countrymen. Especially in a country that is evidently fighting for its life. The US has similar problems, but I’ve attributed that to the US not being a homogenous nation. Seems like there might be something shady about the Supreme Court’s decision. Don’t know. But when a body like that is corrupted–if that is the case–, it is a very bad sign of the country’s integrity. The US Supreme Court stole the 2000 election from Al Gore and gave it to George Bush — something which had severe world-wide consequences, especially in the Middle East, that don’t seem as if they will be cleared up for at least a couple of generations. Indeed, Donald, nothing much more is known because the court has not published details of reasons for its decision, all we know id breach of right to fair trial, procedural breaches…it’s quite striking that all cases of similar nature with same defendant – most important corruption cases – are now said to have been struck by procedural unfairness!!! Incredulous!